GOLF XTRAVAGANA - held annually to support MNDA is now the largest charity golf event in Cornwall. 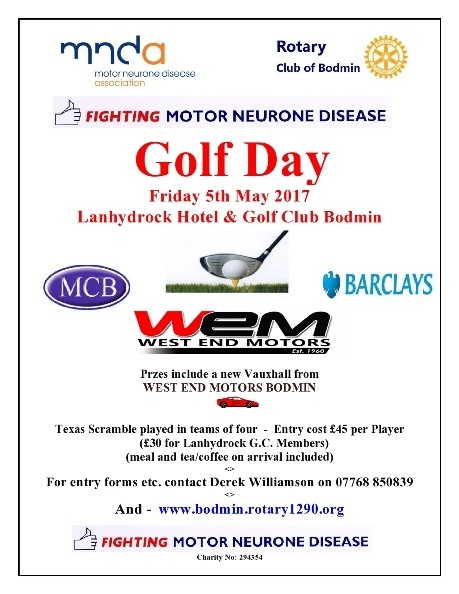 Organised jointly by Bodmin Rotary Club and the Motor Neurons Didease Association and Sponsored by many local businesses. Entry slots available for Approx.160 golfers to take part in teams of four, competing for an extensive prize list, this year valued at over £2000. 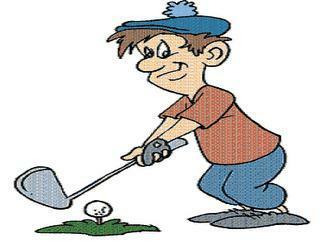 Prizes for holes-in-one; a new car, sunshine holiday, and a golfing weekend are also available. Motor Neurone Disease is a dreadful illness, currently incurable, but support for this event, is a great boost to those persons who have to live with this disease. Last years profit for MNDA Cornwall was in excess of £6,000. The event has been held for the past nine years for MNDA and was originally started 15 years ago as an annual charity event by Bodmin Rotary Club. However, with the tremendous enthusiasm and work put in by Derek Williamson and MNDA, as a joint venture, the popularly of the event has grown.